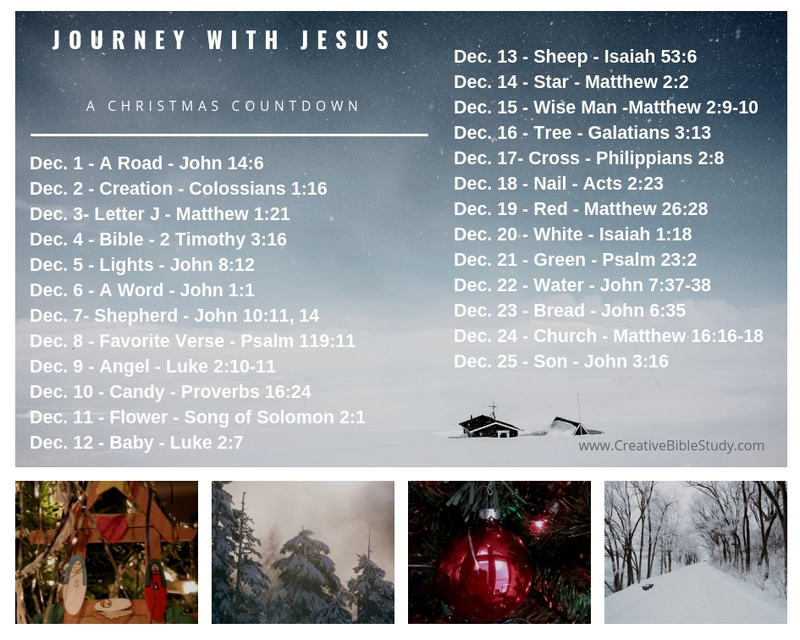 This is the fourth Christmas devotion of twenty-five Christmas countdown on-the-go, active, object lesson devotions with Bible verses to help us keep our focus on the true reason for the season! Each day snap a photo of each item for a visual and use as a photo challenge on Social Media, or with your family, small group, friends or just for yourself. It’s a fun way to enjoy the presence of Christ each and every day as we look towards celebrating His birthday! 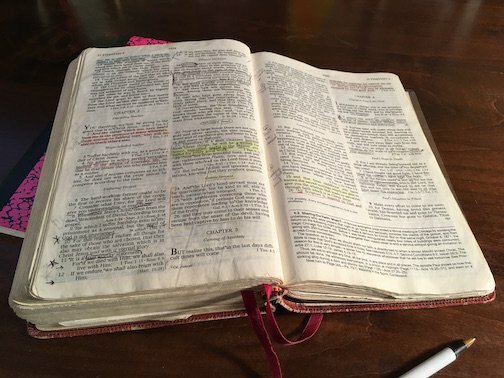 "All Scripture is inspired by God and profitable for teaching, for reproof, for correction, for training in righteousness; so that the man of God may be adequate, equipped for every good work." I love that the word “inspired” here literally means “breathed”. All Scripture has been spoken or breathed by God Himself. Communication is key to any relationship; it’s the way we get to know each other. The Bible is one primary way God communicates to us about Who He is, His love for us, what’s best for us, etc. 2 Timothy 3:16 explains how the Bible can become God’s GPS for us in life. It’s profitable for: teaching (telling us how to get to where we need to be), reproof or rebuking (telling us when we have taken a wrong turn), correcting (getting us back on track going the right direction), and training in righteousness (continuing to guide us towards God’s best for us)! Take out your GPS App on your phone and type in destination “Heaven”. Mine tells me “No results.” Only God’s Word of Truth can direct us there. Jesus said it very plain and simple in John 14:6 – “I am the Way, the Truth, and the Life. No one comes the the Father but through Me.” God not only told us the way, He came to earth to show us the way; He doesn’t want any of us to remain lost! Let’s be mindful this Christmas season to read God’s Word daily. And let’s not just read it and apply it in our own lives, but let’s share it with others so they can know the way back to the Father. Even as believers in Christ though, we can sometimes lose our way and find ourselves on the wrong road or path. God has given us the Bible to show us the way back to Him and how to enjoy this life He's given us and find purpose in His plan for us. Let's allow our Christmas devotion to lead us into His Word as we face this New Year! Have some fun with this Bible treasure hunt with verses as directions to follow to find a treasure or prize. Emphasize how important it is for us to follow God's directions in the Bible.